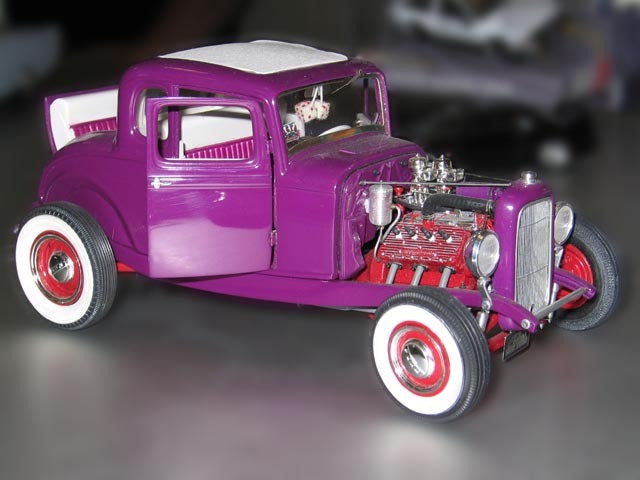 Larry scratchbuilt most of the interior parts, such as the seat, rumble seat, kick panels, and floorboard. He made the pleats by beveling strips of Evergreen strip styrene and gluing them side-by-side. He had the seats duplicated in resin for durability. Early Revell kits provided several suspension components, including the dropped front axle, torque tube, and rear axle.